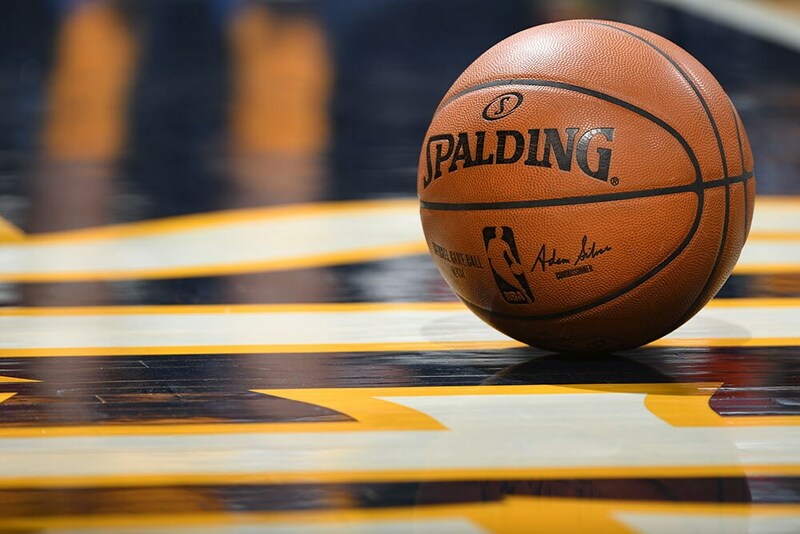 Denver Nuggets group tickets are available at the group rate for all orders of 10 or more seats per game only. No additional taxes or fees. All groups pricing and locations are subject to availability and will be sold on a first-come, first-served basis. Please fill out our contact form below or call 303.352.1000 to speak with a sales representative. 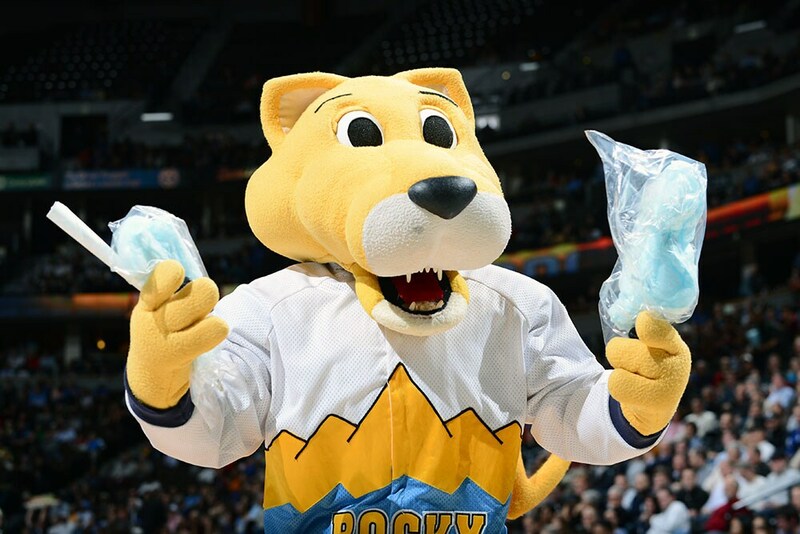 This is your opportunity to get family, friends and co-workers together to cheer on the Denver Nuggets! 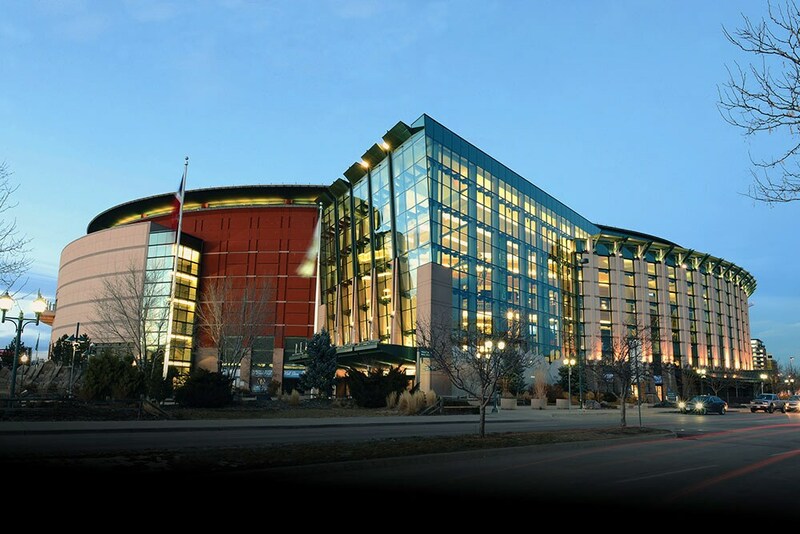 Host your next meeting, reception or event at the Pepsi Center. 50 ticket min. or $1,600 rev. min. 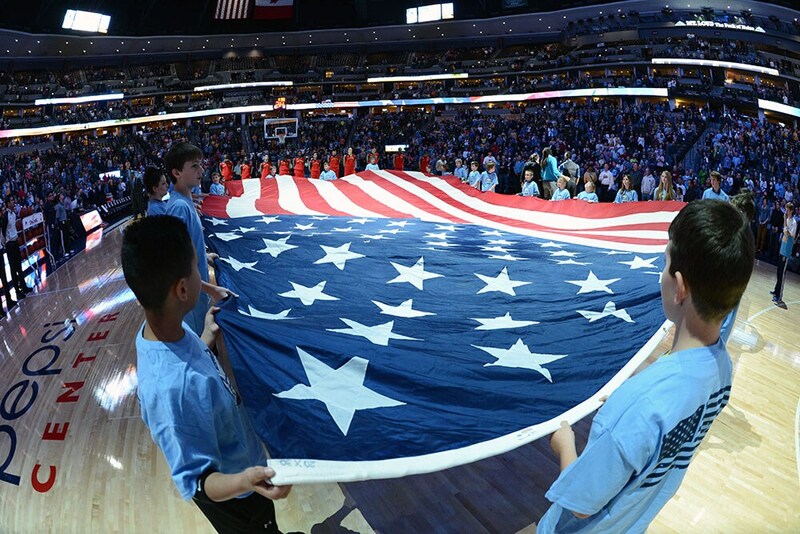 Give your group the thrilling experience of presenting the American flag during the performance of the National Anthem. 80 ticket min. or $1,600 revenue min. 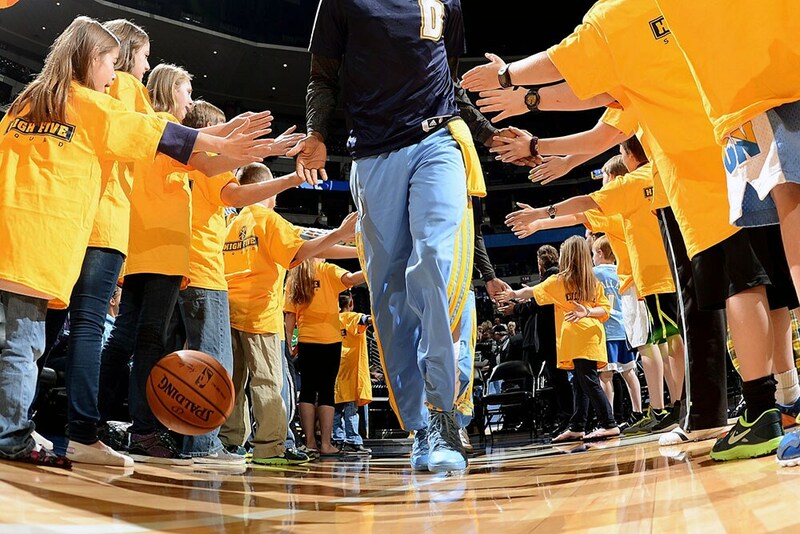 Imagine the excitement on your child’s face as they “high-five” the Nuggets and other NBA players entering the court for warm-ups. 60 ticket min. or $1,200 revenue min. Prior to the doors opening to the general public, your group can sit in select VIP seats to get a close-up view of the players warming up prior to the game. 40 ticket min. or $800 revenue min. 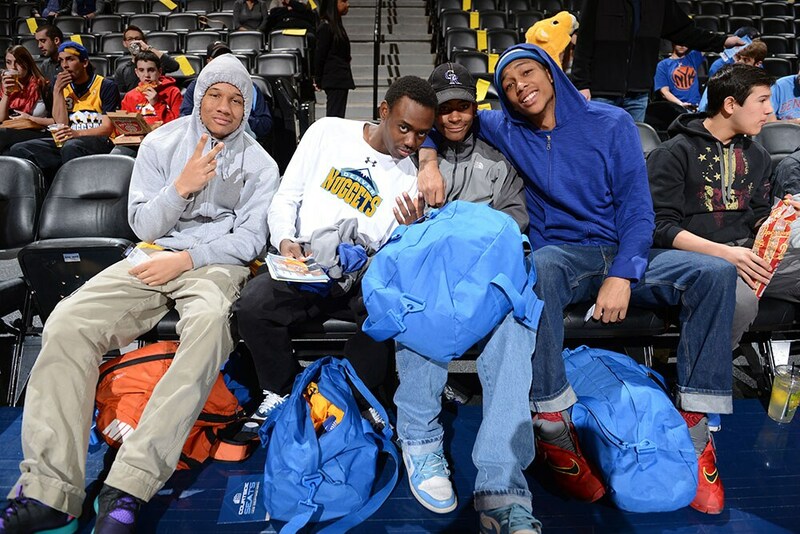 Take your performance to the Nuggets hardwood! Be the center of attention performing prior to the team taking the court. 100 ticket min. or $2,000 revenue min. 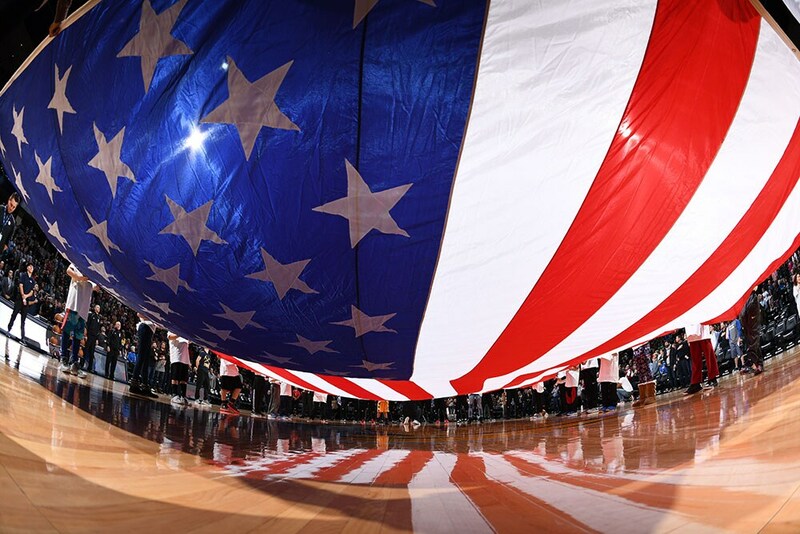 An individual or group has the opportunity to sing the National Anthem in front of thousands of fans. An audition tape is required and is subject to approval. 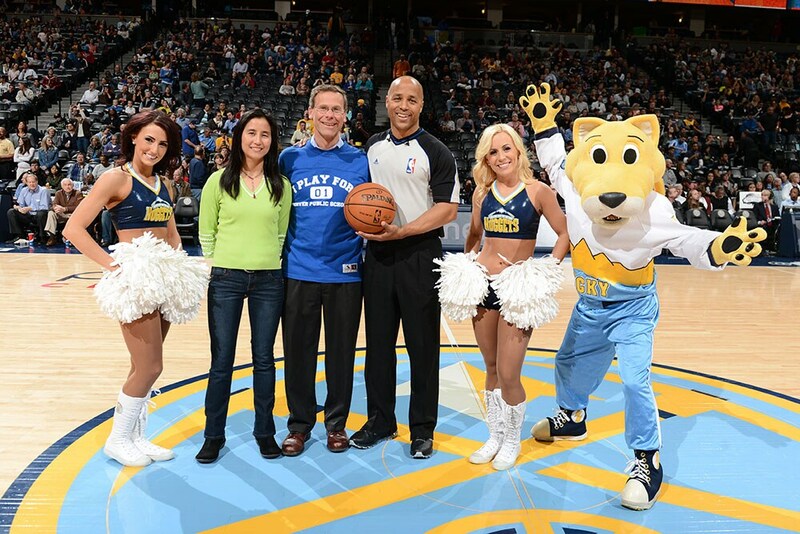 A group of up to 5 people can have a once in a lifetime opportunity to present the game ball before tip-off. 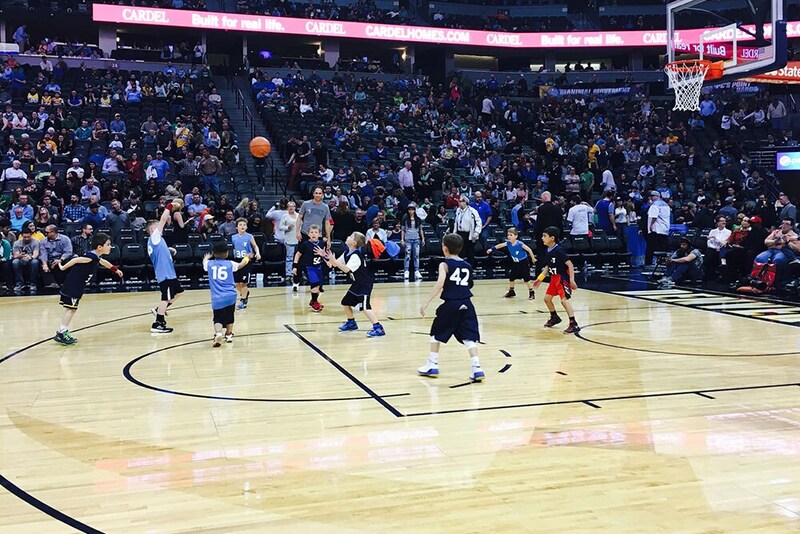 Play on the Nuggets court in front of thousands of fans during halftime. 150 ticket min. or $3,000 revenue min. Play where the Nuggets play! 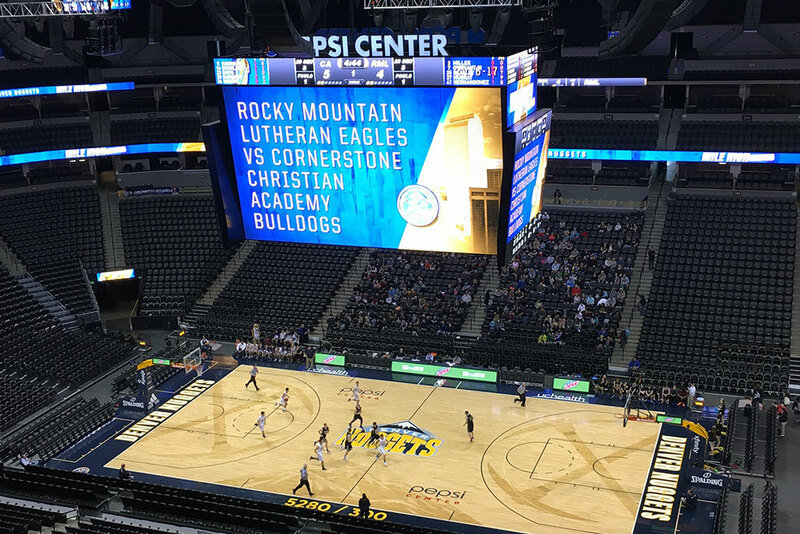 Challenge another department in your office, play a tournament, host a corporate speaking event or conference on the Nuggets court. Starting at 250 min. or $5,000 revenue min. Celebrate your birthday with the Nuggets! 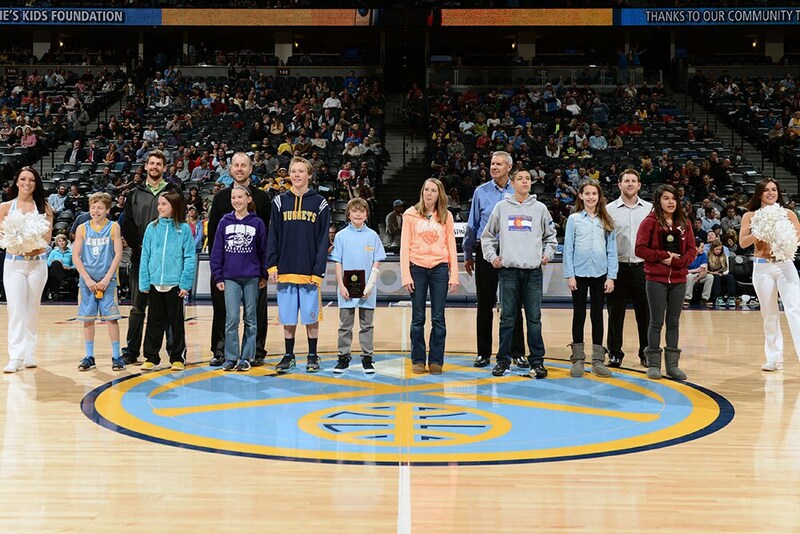 Capture a memory of your group’s experience with a photo on the Nugget’s court following the game. Take a piece of the game home with you! Picture your group climbing up a ladder to cut a piece from the Nugget’s net and leave with a great keepsake and story. 60 ticket min. or $1,200 rev. min. 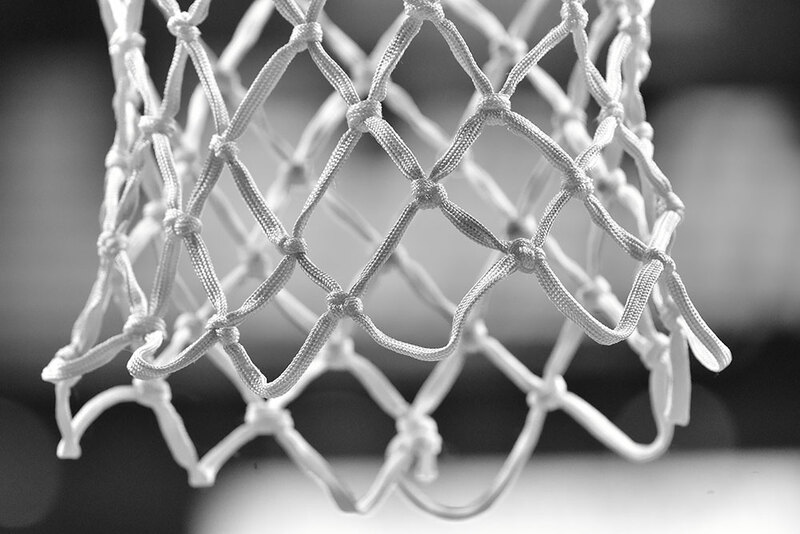 See action-packed basketball with your group and help out your organization at the same time! A portion of every ticket purchased through your exclusive offer will benefit your organization. 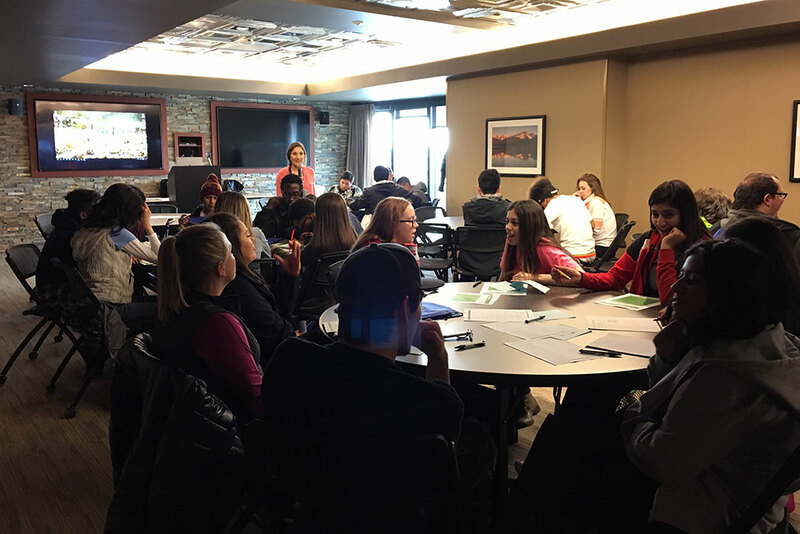 Go behind the scenes at the Pepsi Center & learn about careers in professional sports! This opportunity is great for school organizations and more. 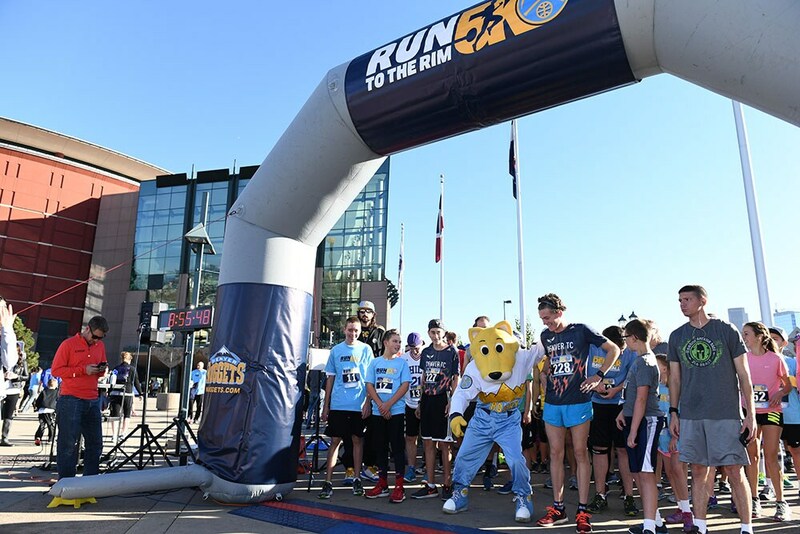 Let the Denver Nuggets assist your local non-profit organization in raising awareness, funds and member involvement through the Denver Nuggets Awareness Nights. *All Fan Experiences are subject to approval and availability. **Contact Group Rep for more information. Complimentary promotions materials- posters, flyers, signup sheets, payroll stuffers, etc. 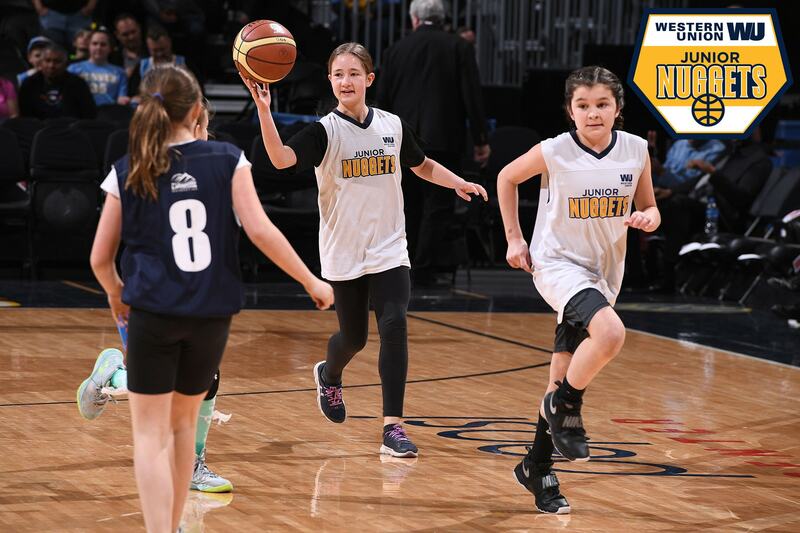 The Jr. Nuggets program is designed to partner youth basketball leagues in the Front Range with the Denver Nuggets. We strive to grow the love of basketball in our youth and provide a positive experience playing organized basketball. The DND Juniors program promotes teamwork, builds self-esteem, and develops self confidence in young dancers. 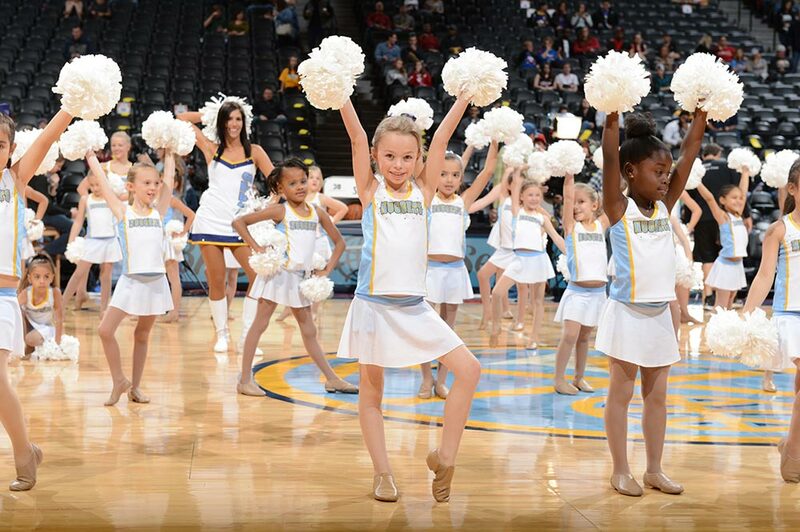 Female participants, ages 5-14, will train with current members of the Denver Nuggets Dancers and will perform at Denver Nuggets home games throughout the season.